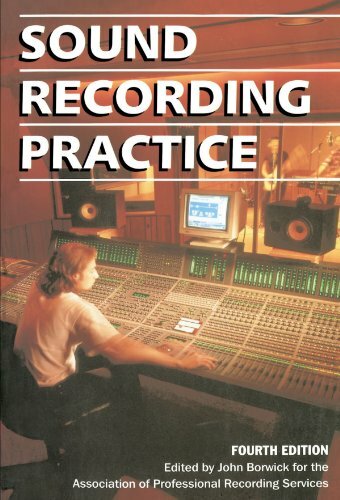 In this invaluable book, a broad range of contributors--musicians, acousticians, electronic engineers, and broadcasters--share their specialized expertise on the equipment used to record, transmit, and reproduce speech and music and the operational techniques that have evolved over half a century in the sound recording industry. This fourth edition, newly revised and comprehensive, emphasizes the array of new technologies and techniques such as rapid advances in recording techniques, computer-controlled equipment, new digital recording formats, and the proliferation of consumer audio/video media. Addressing the user rather than the designer or manufacturer, Sound Recording Practice offers a stimulating, informative, and comprehensive guide to each aspect of recording. If you have any questions about this product by John Borwick, contact us by completing and submitting the form below. If you are looking for a specif part number, please include it with your message.